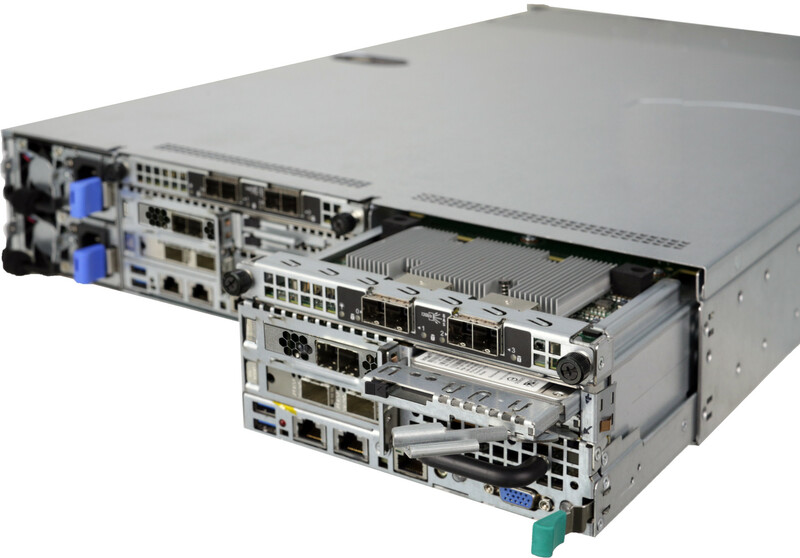 The system offers dual 10G SFP+ interfaces per node and has two PCIe x8 LP slots for expansion purpose. 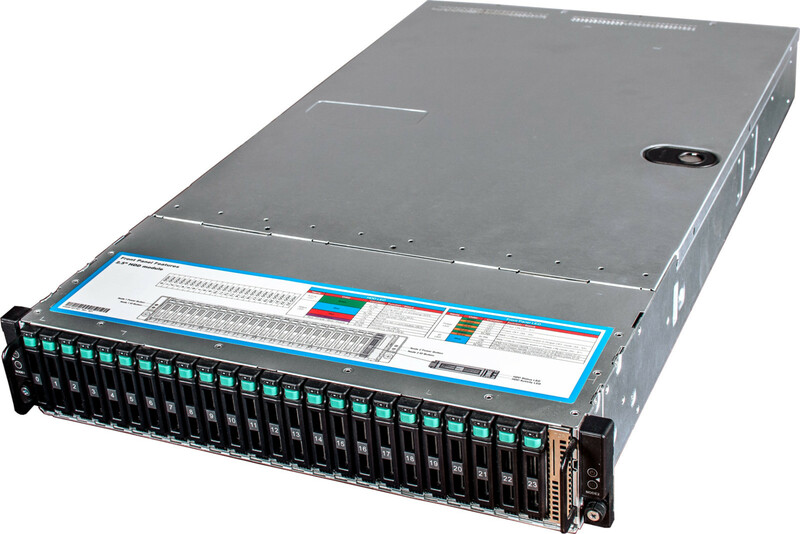 Upcoming 25/50/100G Ethernet promise even more bandwidth and lower RDMA latency with support for high-performance storage protocols for the most demanding environments in pair with 100G Aurora 720 switch. Inter-node internal link is based on 10G Mellanox CX3 Ethernet. 24x 2.5″ or 12x 3.5″ SAS drives are available as chassis options. 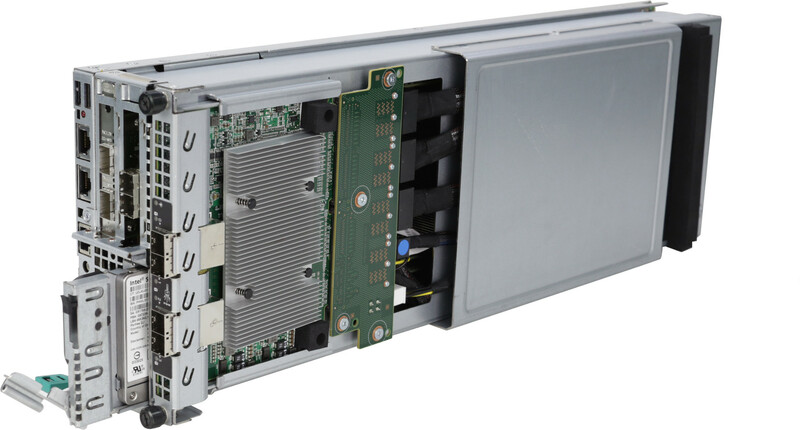 Four miniSAS HD SFF-8644 ports per node can deal with up to four daisy chains of JBODs and 560 drives with 70 HDD enclosures! Unlike typical storage solutions, S200 M2 have dedicated IPMI port for management that allows the user to perform all operations required to deploy, configure, monitor, diagnose, renew and control servers. Software options are Windows Storage Server 2012 R2 and HA Linux with ZFS. It enables truly software-defined storage capabilities for small and medium-sized companies with enterprise-grade functionality at outstanding price/performance ratio. Data consolidation, VDI and High-Performance Computing solutions, server virtualization, e-mail, private cloud, databases and business applications with centralized file services are available via unified Ethernet infrastructure. Industry-standard iSCSI protocol, SMB 3.0 with SMB Direct and SMB Multichannel and NFS 4.1 are supported along with enterprise features such as thin provisioning, snapshot, and de-duplication. ZFS delivers many advanced storage features, like native deduplication, thin provisioning, hybrid SSD/HDD storage pools, replication, snapshots, compression and access via iSCSI/NFS/FC. Windows Storage Server 2012 R2 offers new enhancements, including Storage Spaces as cost-effective, highly available, scalable, and flexible storage solutions for business-critical (virtual or physical) deployments. Storage Spaces is completely integrated with failover clustering for high availability, and it is integrated with CSV for scale-out deployments. An improved iSCSI Target supports VHDx (VHD 2.0) for capacities of up to 64 TB. Transparent iSCSI failover. SMB 3.0 and NFS 4.1 transparent failover. SMB Multichannel and SMB Direct (SMB RDMA) for increased throughtput and low latency. Scale-Out File Server (SOFS) with automatic rebalancing of scale-out file server clients and support for multiple SMB instances on a scale-out file server. Hyper-V Live Migration over SMB, which enables you to perform a live migration of VMs by using SMB 3.0 as a transport. VSS for SMB file shares. Improved Data Deduplication, including support for Cluster Shared Volumes and deduplication of live Virtual Desktop Infrastructure (VDI) VMs that reside on a file server connected via SMB. The ZFS file system does offer unlimited volume size and unlimited storage capacity expansion. Hybrid SSD/HDD storage pools, SSD write-back cache support. Block and file access via iSCSI,FC and NFS protocols.